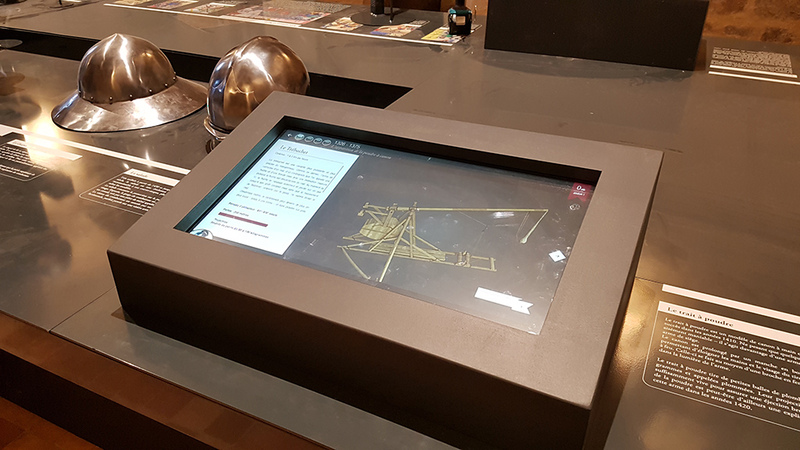 The conception of an interactive multitouch terminal for the Dinan castle. Dynamic and interactive support to better appreciate the site’s history, by identifying the Middle Ages war weapons collection. Why integrate digital technologies into heritage sites? First and foremost, the visitor experience is meant to evolve over time, therefore, the sites want to offer a more vibrant and diversified visit. The Dinan castle aims to bring more life to the castle’s history, as a result, taking the guest into different directions, by providing a fun and enriching visit with digital technology yet providing a wide array of possibilities and offering a new edge design. The historic site makes it accessible to all ages the understanding of its history. As a consequence, the terminal includes explanations and interactive games available in three languages: French, English, and Spanish, this device is easy to use furthermore, the information is clear and comprehensible to the general audience. In conclusion, an interactive and digital complement to the site, providing an enhancement to the heritage site cultural discovery proposal. Above all, the goal of all the integrating digital devices is to allow the heritage sites to enrich the content of the visit. 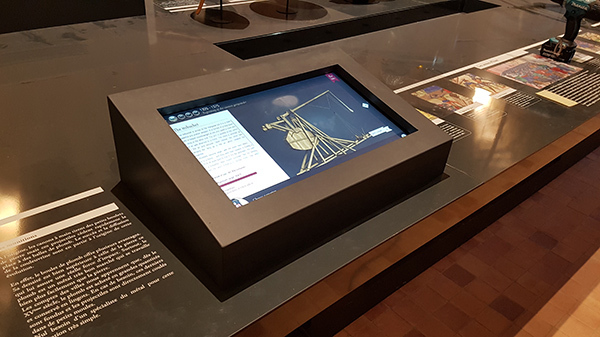 The Mazedia agency worked in partnership with the city of Dinan to integrate an interactive device within the castle, a strong and a precious symbol of military architecture and heritage around the Middle Ages. Hence, a site rich in history such as the castle of Dinan, built by the Duke of Brittany Jean IV, in the decade of the 1380 ‘s, provided by tactile media experience, such as of multitouch terminals among other things, permits not only to differentiate with other heritage sites but also to give a grade of uniqueness compared to those that do not integrate these technologies to their tours. Therefore the visit is supplemented by new discoveries, offering a complete and innovative understanding of the work or place in question. Lastly, the integration of our devices helps to promote the site’s singularity impression, as a result, this project is directly related to our philosophy of protection, preservation, and restoration of ancient places.